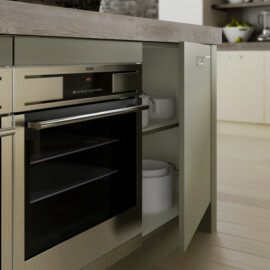 Islands (as featured in this kitchen) provide a number of storage options, such as pan drawers, wine racks and integrated ovens. 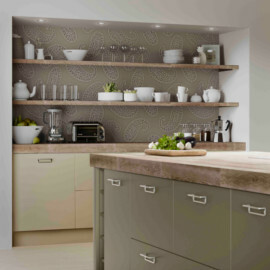 Use your painted kitchen to create a stunning centrepiece, where your island becomes the social focal point to any dinner party. 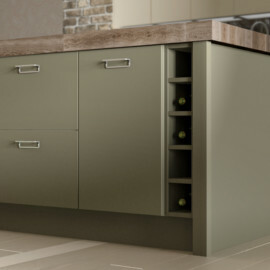 Shown here in Olive and Stone, Richmond is one of the exclusive ranges from the Laura Ashley Kitchen Collection that is available in 17 hand-painted matt finishes as well as two exclusive gloss finishes of Pure White and Mussel, for that ultra-chic look. Recreate the look: This style uses hard lines, worn finishes and statement pieces for an unfinished raw look. Incorporate industrial elements to add character and mix with metallic colours to create statement pieces. 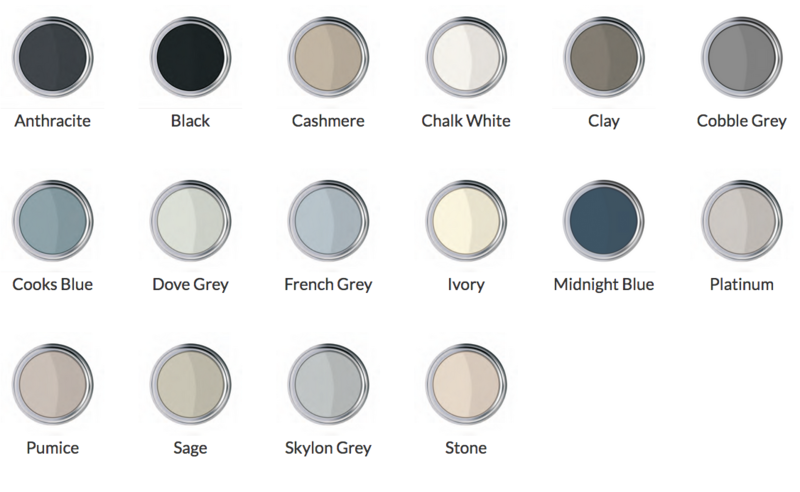 Richmond combines natural matt shades and angular styling to bring your kitchen to life.